As I mentioned earlier, I’ve had the idea of writing music for quite a long time, but I just didn’t have the time and didn’t think I could do it. 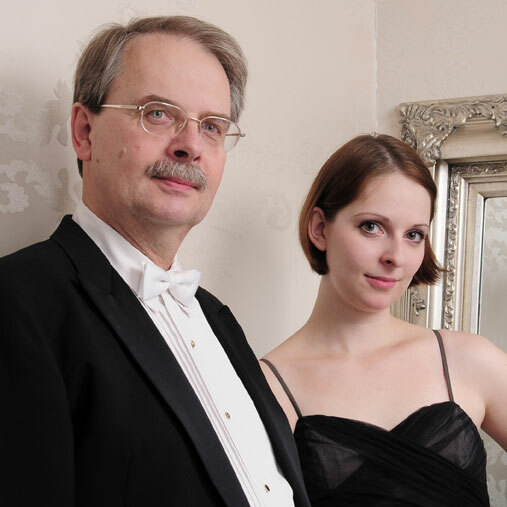 We played here and there together, Spohr, Saint-Saens, Damase…, and even asked an American composer to write for us, the Poème by Michael Kimbell. But after a while, it just wasn’t enough. I remember my first attempts, for example the Bolero by Ravel, which was almost unplayable, but wow, the audience loved it. Then we added some Gershwin and Piazzolla pieces. I always loved Bach. So did, well, does Katrina too, starting with learning the violin partitas as training for the fingers. And then she discovered that Bach keyboard music works very well on the harp. One day, she came up with the idea of the Chromatic Fantasy and Fugue. I also thought it was a great idea, so we had a sort of competition, she for harp, me for violin. She started with the Fantasy, me with the Fugue; well, honestly, I wasn’t yet sure about the Fantasy because of the exisiting transcription for solo viola by my countryman Kodály. When we were ready, we played the complete work in concerts in such a way that she played the Fantasy and I the Fugue (I think the othe way around too). Later we both made spearate recordings of the Fantasy and Fugue. I’m not sure any more what was then my first “real” transcription for harp and violin, but I know I had a lot of trouble. Nothing was working with the pedals. I know, all of you harpists laugh now, of course, a violinist shouldn’t write for harp. Sure. So I learned the hard way; I tried to imagine playing, trying to feel how much time I would need for certain pedal changes, which enharmonics to use, and so on. My first attempt of the Dukas Sorcier Apprenti was a slap in my face; here I hadn’t considered if it works or not, sent it to a harpist friend, who wrote back, well, sorry, but I can’t make pedals for this. The hardest piece so far was La Valse by Ravel! I rewrote it 3 times until it became “almost” playable. As the work is extremely chromatic, it was almost impossible to manage, but I made some (actually quite a few) changes, so it became more friendly to the harp player. 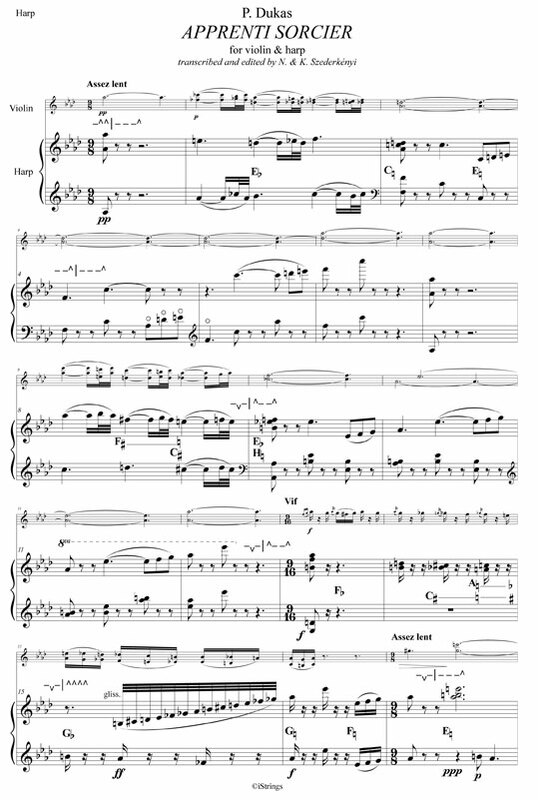 Just recently, actually only a few days ago, I finished the version for string quartet and harp of Ravel’s La Valse, now with a really friendly harp part! unfortunately, because the major development of harp construction and technical advances for players started after much great music had already been written, the harp part is mostly less interesting. Often the harpist has to sit through long sections of works without playing a note, to fill in some hardly audible chords, or even worse, to play a cadenza alone with cold hands! Both scenarios are not very welcome by musicians. Sometimes the harpist can actually go home, have dinner between entrances; obviously if he/she lives nearby. And then there are those few operas where the orchestra needs eight harps, even on stage in order to hear them – a wonderful sight! I’m sure every harpist knows which music I am referring to – yes, that’s right! And some other composers used two harps doubling each other in order to be heard. Well, of course, a number of composers used the harp mostly really as a background colour, which is alright. But these days, we just don’t have enough music for the hundreds of fantastic harpists. They finish their studies, go to competitions, if they win maybe they get some soloistic or chamber music possibilities, but finally most of them either find a place in an orchestra or in a teaching position. Often it is quite sad, because there are so few orchestra postions available, and especially with budget restraints, full-time harp positions are among the first to be cut. So that takes young players back to becoming background musicians, as ist was common 30-40 years ago. It is my goal to encourage harpists to use their skills which they acquired during their studies to enable them to keep performing. Even though there have been huge developments in the harp-making industry in the last century, and there are many wonderful harpists around, I believe that the majority of music lovers still see this beautiful instrument as some gorgeous golden giant, played by sweet girls with lovely curls, wearing fancy gowns, most suited for background music at high society banquets and parties. At symphonic orchestra concerts the harp is also a lovely piece of stage decoration which is often a disappointment when the audience sees the player, but the sound is barely noticeable. Of course, when there are wonderful cadenzas, especially in operas and ballets, everyone enjoys the marvellous spectrum of the lovely instrument, heard but hardly seen in the pit. And yes, this is exactly what I wish to point out here: the harp is no longer a background colour for some social occasions, it is a highly professional “music making tool”! As with all instruments, there are innovative advancements that instrument factories and players are constantly working on to improve. If I look at two harps, let’s say an old Erard and a new Lyon & Healy next to each other, the difference is clearly obvious. Already the size and the whole construction in every aspect is completely different. It is possible to take part in a tour at harp factories observing all the production stages, where they show the process of harp building beginning with wood selection, preparation, how to glue and what kind of methods are used to make the harp more sturdy, etc.. For me, as a violinist who can do small repairs such as bow rehairing, it was amazingly interesting when we took part at a tour of a harp factory. If you are interested, I think the big factories have online tours, so one can get a feel for it. However, being there, smelling the wood, hearing the noise of the tools, and seeing the masters working on the hand-made parts make it a memorable experience. 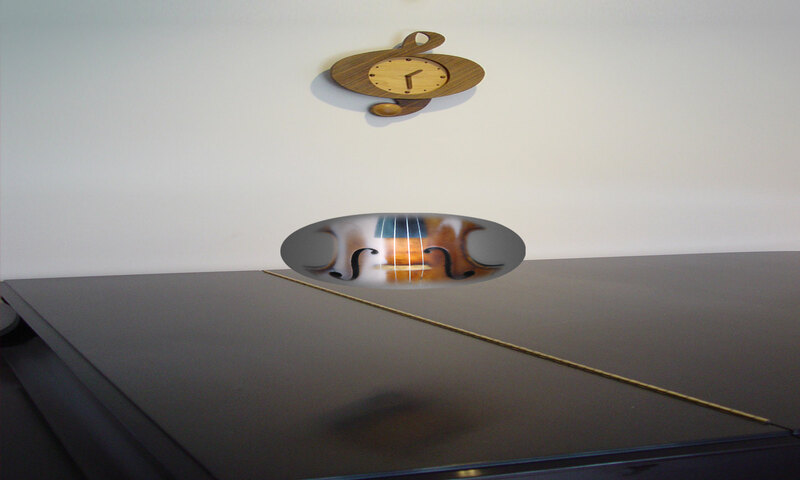 Perhaps, currently, the most interesting and important aspect is the development for a bigger, warmer and rounder sound, having more “bass”, a more brilliant “treble” with more projection of sound, so it can be a more soloistic instrument. 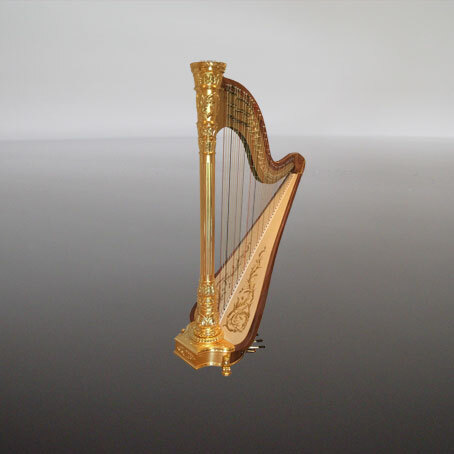 In addition, of course, the harp needs to be more robust for transporting, without becoming heavier, using the best materials for mechanical parts and longer-lasting strings. After all, quite often the harpist must manage to transport a harp in a suitable vehicle by him/herself. It may be safe to say, that long gone are the days when performances were interrupted by strings breaking in the middle of a piece! Comparing the sound of even just 20-30 year old harps with any of the modern instruments from the USA, France, or Italy will prove this great advancement in harp making. Luckily, we can observe similar developments at music institutions worldwide. The “one professor for one or two students” era is long since past. Visiting any music schools, universities, the harp faculty is most probably very busy, especially when there are few practice rooms with instruments! However, there is one problem, that is not exclusive for harp, for an instrument used singly in an orchestra of 100 players. 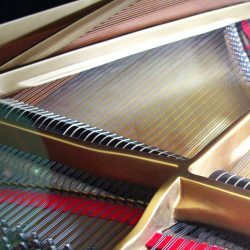 Similar to the piano, which is needed even less in an orchestra, and there are many more pianists around, the available work for them falls into categories as soloists, accompanists, chamber musicians, correpetitors and, of course, teachers. And here I am with my strong sugestion: harpists should get involved in much more chamber music and play as soloists! This wonderful instrument is continually gaining more potential for use on stage as a solo instrument. I am absolutely convinced of that! I do believe though, that we need some changes in concert programming by showing the harp as a major solo and chamber music instrument, and by widening and expanding the repertoire and by refreshing the taste of listeners to actually gain more interested audiences.